Lightweight Golf Bags is popular choice for Golf lovers who like to spend time Golfing wherever they go and Sunday golf bags are often the first choice for such golfers. They are lighter and the more efficient version of typical golf bags. The tradition of Sunday bags basically started when devout Christians observing the Sabbath could not work on Sundays. The lack of caddies caused the players to carry the heavy golf bags themselves across the golf courses. Sunday golf bags were the perfect solution as they were lighter and could competently hold the bare necessities. These bags are perfect for weekend golfers who do not want to carry the extensive set of full clubs. Choosing the right golf bag needs careful consideration as it is quite a daunting and intimidating task. Therefore, it is absolutely crucial to choose the most competent, lightweight, and durable bag. Palm Springs Sunday golf bag with stand is not only perfectly lightweight and durable but also provides a free stand and rainhood. This golf bag is plenty spacious and the padded straps provide you with a comfy experience. You can easily lug this bag around the golf course without it getting uncomfortable or bulky. Although it cannot carry a full set of clubs, we feel that as the Sunday golf bags were created to carry bare necessities, it lives up to its claims. The bag is extremely well-constructed and the weight is evenly distributed so that you can easily carry it around for long distance. Palm Springs Sunday Golf bag is definitely our favorite one among the exceptional golf bags mentioned below. This bag by Palm Springs is not only lightweight, efficient, and spacious, but also provides a stand to protect your bag from getting dirty. Most of the Sunday golf bags come without stands but this is an exception and offers convenient handling & carrying. It’s spacious enough for your weekend golf need and can easily house 6 to 8 of your main clubs. It is equipped with 4 zippered pockets so that you can easily carry a windbreaker, umbrellas, water bottles, extra shoes etc.. No wonder its liked by the men & women alike. Its the one of the Best womens golf bags for its lighter weight with ample storage. It comes with matching rainhood for protection against rain. You get a padded, adjustable double shoulder strap for long distance as well as a convenient assist handle if you carrying it over a smaller distance. You can use either of them according to your convenience. At the weight of 3.5 lbs, this Sunday bag is light and handy. The durable quality material makes it one of the best Sunday golf bags you can find on the market. 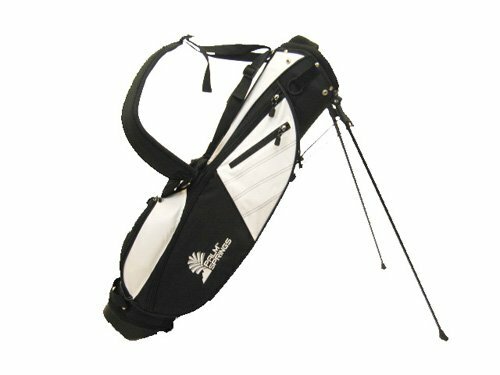 This polyester Sunday golf bag is another great inexpensive product in the contemporary market. There are two available sizes that you can choose from- 5” and 7”. The 5” one is perfect for beginners and weekend golfers who do not want to carry an entire set of clubs. The 7” is perfect for the seasoned players who want all their clubs at hand. 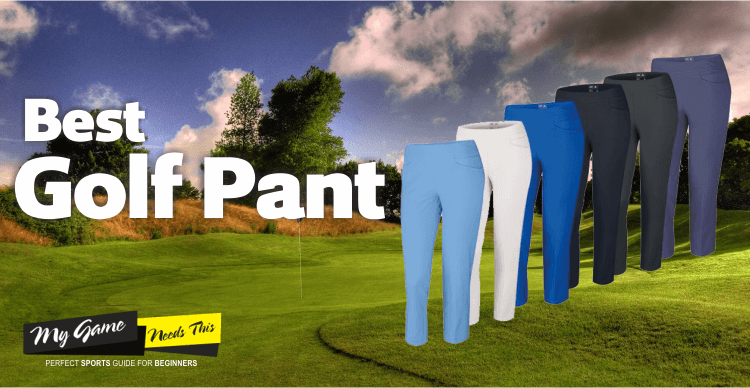 It’s significantly spacious and you get ample pockets for all your balls, tees, and other things. When not in use, you can easily fold it neatly and it does not take any extra space. The straps are conveniently constructed and are padded to avoid any discomfort. You can also use the double straps if your bag gets a bit heavier. The convenient handle on the side is appreciated. This lightweight Sunday golf bag just weighs 1 pound and is considerably the lightest bag you can get in the market. One of the lightest Sunday bags in the market at such an affordable price range. The addition of the stand makes it quite attractive as you are saved from getting your Sunday bag dirty and damp by keeping in on the wet grass. The bag easily and effortlessly carries 7-8 clubs which is decent enough for a Sunday golf bag. This bag comes with two dividers which are definitely a plus point. 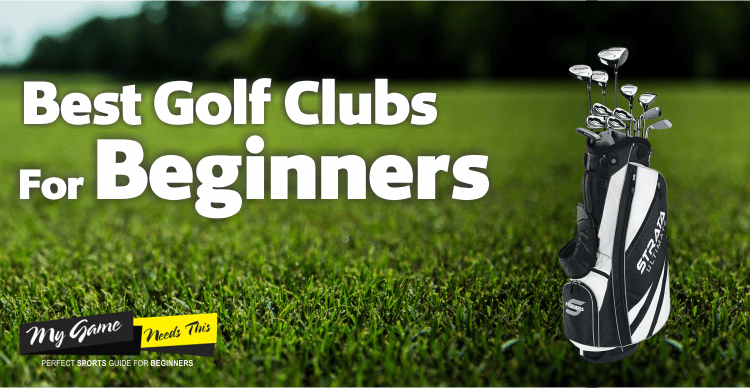 You can easily divide your clubs and arrange them in the right way. You can get an accessory pocket to keep other important bits and pieces. The material is quite durable and resilient. The carry handle makes it easy to transport it at shorter distances. The lack of extra pockets can be a bit problematic at times. The shoulder strap could have been better and can be uncomfortable. But the extremely lightweight bag does not let it become much of an issue. At such a reasonable price range, it is quite an attractive deal. 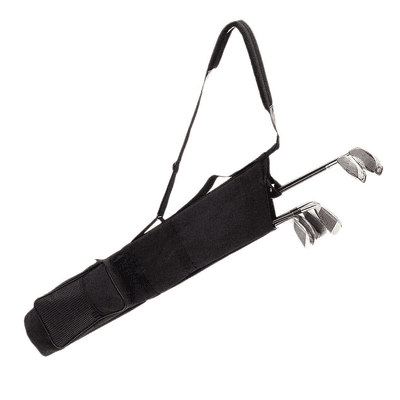 This ultralight Sunday bag can easily hold a full set of clubs without adding extra pressure and discomfort on your shoulders. 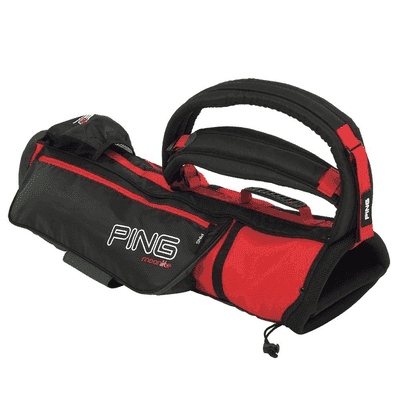 Ping has been well-known for producing some great, durable products and this Sunday bag is the same. Its a double-strapped bag equipped with multiple pockets to hold your umbrella, water bottle, balls & other golf gadgets and more effortlessly. It weighs just about 2.5 lbs which is very decent for a full club holding Sunday bag. 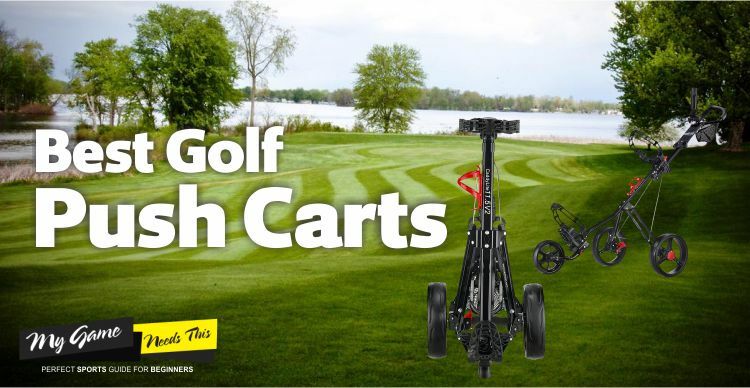 It might be a bit bulky if you want to carry it in a golf cart but overall it maintains the standard of its brand. It is perfect for well-seasoned players who like to keep a full set of clubs always at hand but want their bag to be light enough. 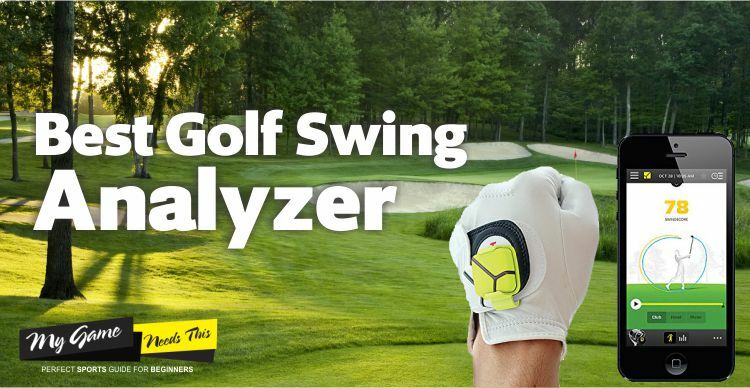 You can easily carry it around the golf course without getting uncomfortable. The material is durable and water-resistant so you can rest assured about it getting wet and damaged. This Sunday bag provides ample space and is quite convenient for lugging it around the golf course. 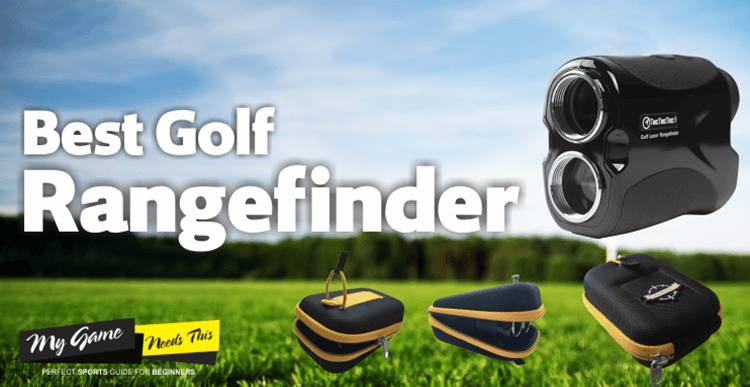 If you are looking for a golf bag that is travel-friendly, this product is perfect for you. Lightweight, durable, spacious, and comfortable, K-Cliffs golf bags is one of the best we could find. It sells itself on being travel-friendly and we agree with its claims. 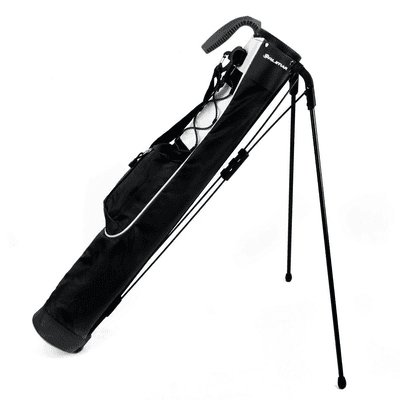 This ultralight golf bag can carry 6-7 clubs, which is decent enough for a Sunday golf bag. The padded shoulder strap lacks any metal buckle and you are saved from heavy pieces of metal digging into your shoulder. You can also avail the comfort of a fully padded handle for carrying it for a shorter distance. You can also detach the shoulder strap if you want to. It is quite spacious for a Pencil golf bag, with zippered pockets and t-holder. The whole body is fully padded and you get a plastic tube that can be detached according to your convenience. The material’ opening is extremely soft and foldable. This weightless golf bag is also water-resistant so that you do not have to worry about it getting wet. The one problem we had with this bag was that it does not distribute the weight evenly and might be a problem to carry for long distances. If you are a person of short height, the bag will almost reach your ankles. 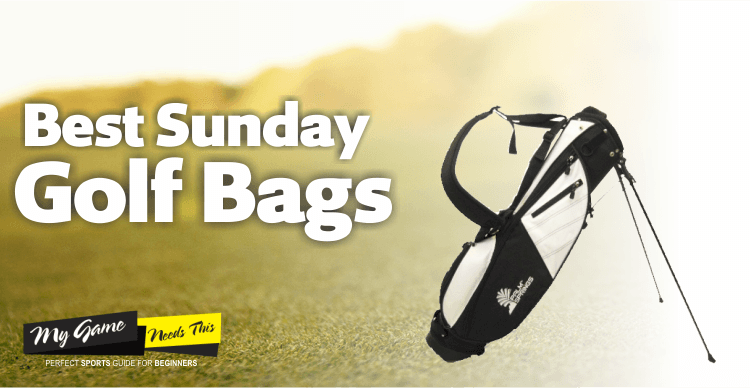 Sunday Carry Golf Bags – Points Not To Miss! Sunday golf bags are effective and efficient but you need to make the right choice if you want to enjoy its efficiency. Here are some must-haves that you need to consider. Even though you cut down the full set of clubs to bare necessities, they are substantially heavy and need a durable and strong bag to hold them. The main problem is as soon as the bags are made more durable, they start getting heavier. Dividers are quite important to keep the necessary club separate but most golf bags lack this feature. We recommend going for models that provide club dividers as they are so much more convenient & efficient. Other than being lighter in weight, the sunday golf bags are often shorter in length as compared to regular ones, the dimensions are reduced and you might not be able to fit in a full club set. Choosing the one that optimally matches your club length will obviously be a better fit. The whole point of using a Sunday golf bag is to avoid lugging around the heavy, general golf travel bags across the golf course, it gotta be made from a lightweight material which can help remove those additional pounds off your shoulders. High-quality bags are generally made from materials like nylon or polyester as they are not only light but are also durable and resilient. Padding is good as it ease off any pressure on your shoulder & back muscles but most Sunday golf bags avoid it to reduce weight. 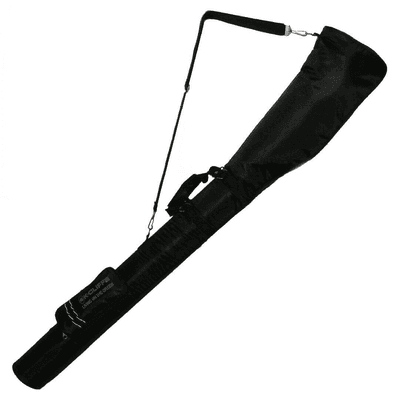 We recommend getting the golf bag that at least has some padding on the straps to avoid any discomfort. Generally, Sunday shoulder golf bags contain one shoulder strap for easy handling and carrying your clubs on one shoulder. You might find some bags that offer double shoulder strap which is a bit more comfortable for you. Storage is generally considerably less in these bags. It’s all about saving space & making it as lightweight as possible. You might find some pockets for Tees, balls & other bits & pieces but it is quite limited storage. However having some pocket is recommended for better storage of useful stuff. Don’t forget to check for warranties and after sales support, if the need arises. Most brands provide warranty on the bags for any problems in the material or craftsmanship. There are some great Sunday gold bags that are easily affordable and are of decent quality. No matter if you are a regular golfer or a occasional one, a male or a female, Sunday golf bags are the perfect fit for anybody playing golf. They prove out be the best utility for carrying golf equipment. No doubt the are best selling among the different Golf Bags categories. To check out different types of best golf bags available in the market click here.